The artwork on Megijima is mostly in Community Area, Megicho, that is around the port. For 2016, there is one new artwork in the western village, Nishiura, and there are 2 returning artworks in the Ogre caves at the top of Megijima. I have personally not been to the western village but from what I have seen from afar, the artwork is pretty interesting. Nishiura OK Tower is a very personal artwork for Megijima done by Navin Rawanchaikul+Navin Production. I have yet to visit this artwork but looking at photos and what I have seen from the ferries, it looks really good. The buses that go there only give you 15 minutes so you don’t have enough time to really enjoy it but they do have the photos of the residents along with interviews being shown inside. It seems to be an equal part time capsule and equal part museum for the island’s people. It is something I hope to see in the future. 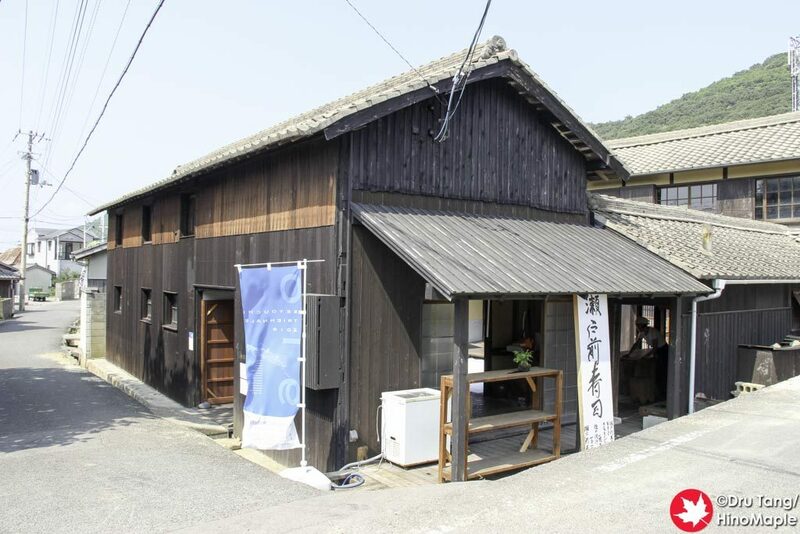 The Oninoko Tile Project is a returning project by Oninoko Production. It is a work done with various high schools where the students helped to create roof tiles with ogre faces on them. 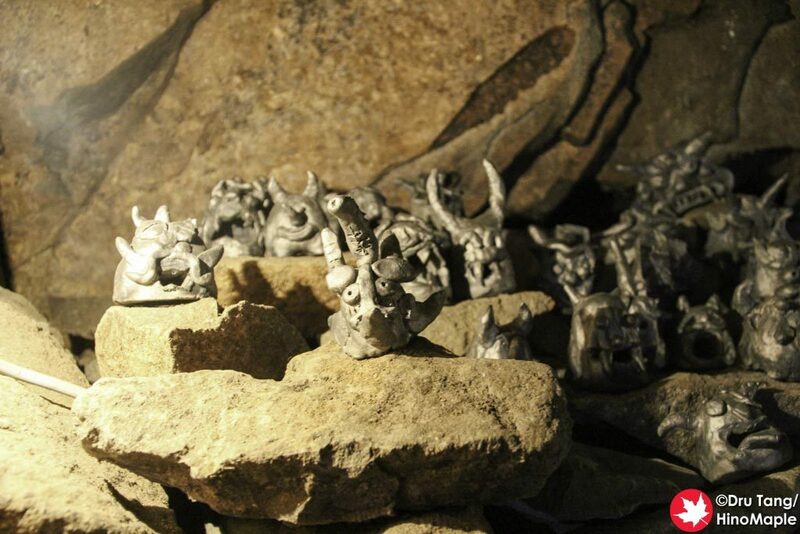 The artwork is spread throughout the Ogre caves at the top of Megijima and it is magnificent. I loved the idea that there are tiles all over as well as the ability to walk among them in certain locations. I didn’t have enough time to enjoy it completely but I hope to go back again in the future someday. Ogre’s House No.1 “Ogre’s Caves” by CHAOS*LOUNGE is new a colourful artwork that really didn’t speak to me as much as I hoped it would. The main artist is part of CHAOS*LOUNGE and while I understand the concept, I didn’t enjoy it as much as I had hoped. Taking various pieces of driftwood, the wood was painted in various bright colours, similar to the colours of the Ogres of Japan, and placed around the caves. It was interesting to imagine the ogres building their homes but it really seemed too simple to me. 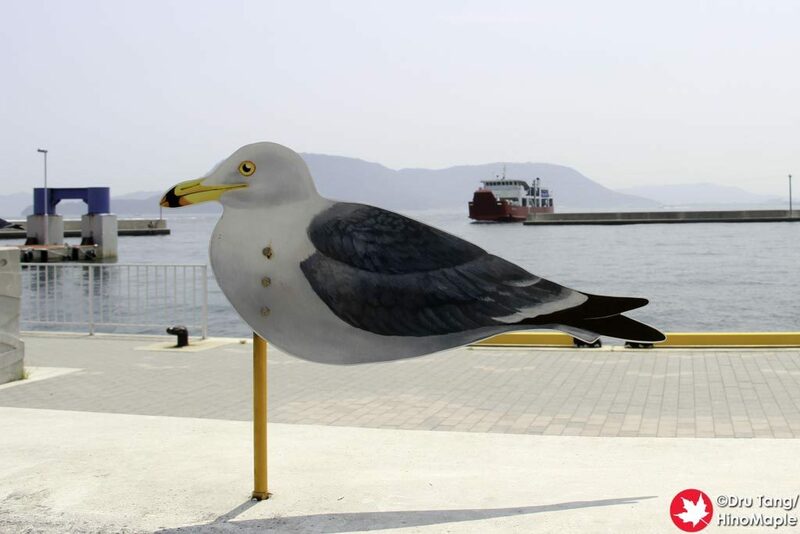 Sea Gulls Parking Lot by Takahito Kimura is a very playful artwork that requires time and a partner to enjoy it. The sea gulls are just hanging out at the port on top of the breakwater barriers. They are designed like wind vanes so they continually move in the wind. I really love the image of the seagulls and love taking photos with it and you can be sure that I will always be there with them whenever I am in Megijima. 20th Century Recall by Hagetaka Funjo is a very interesting work. It is setup in a location that everyone will be able to see at all times. It is simple a black piano that has been moulded slightly into the shape of a boat as well as having a mast added to it. The sails are beautiful and they flap quietly in the wind. Sometimes there are wind chimes on them that make the artwork come alive. I really loved this piece and always spend the last moments on Megijima around this piano. In 2013, I really didn’t care for MEGI HOUSE, but in 2016 I thought it was better. 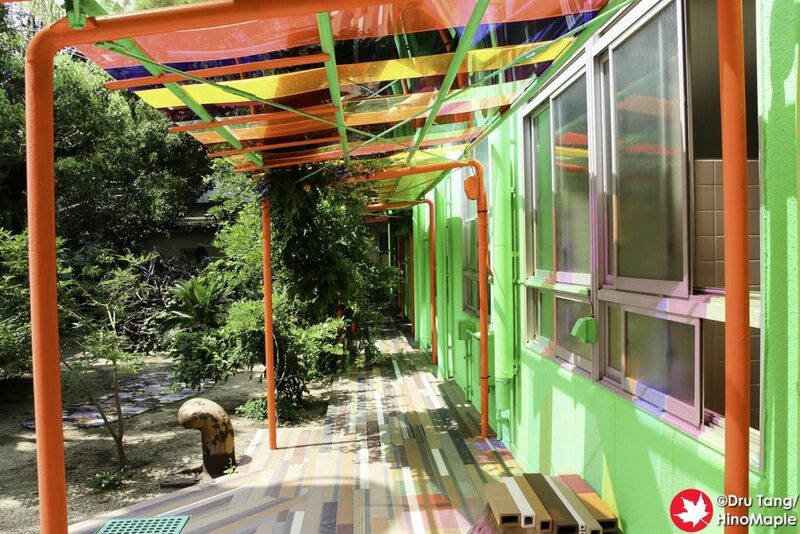 MEGI HOUSE is the centrepiece of Aichi Prefectural University Arts and Music Setouchi Art Project Team which comprises of students, faculty, and alumni. The actual house is not very interesting but I think it would look good at night, especially with the art by Mitsunori Kurashige. 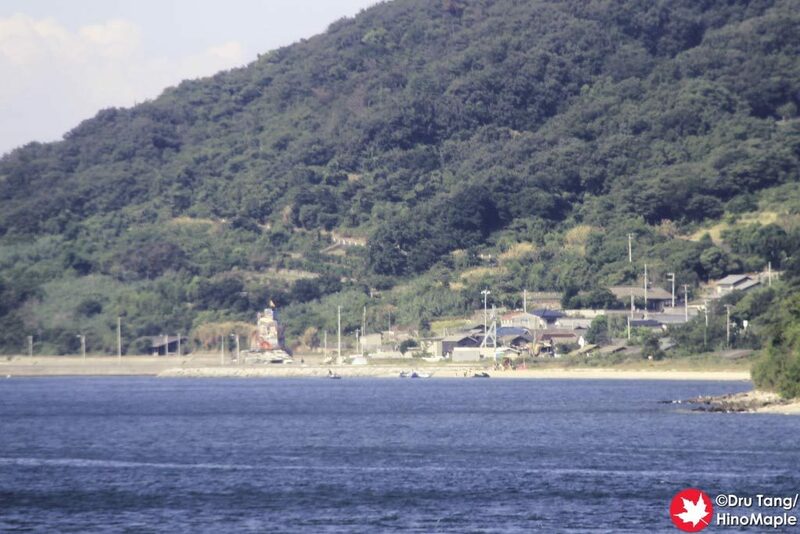 Unfortunately the last ferry leaving Megijima is before sunset so unless you camp overnight on the island, it is unlikely that you will ever see it at night. It is specifically designed for music events and since I visited when there wasn’t an event, it wasn’t as interesting. It is still worth a visit if you have never been before. I believe for the 2016 the Setouchi Triennale a Japanese university was asked to create a special exhibit to showcase the works of their students. 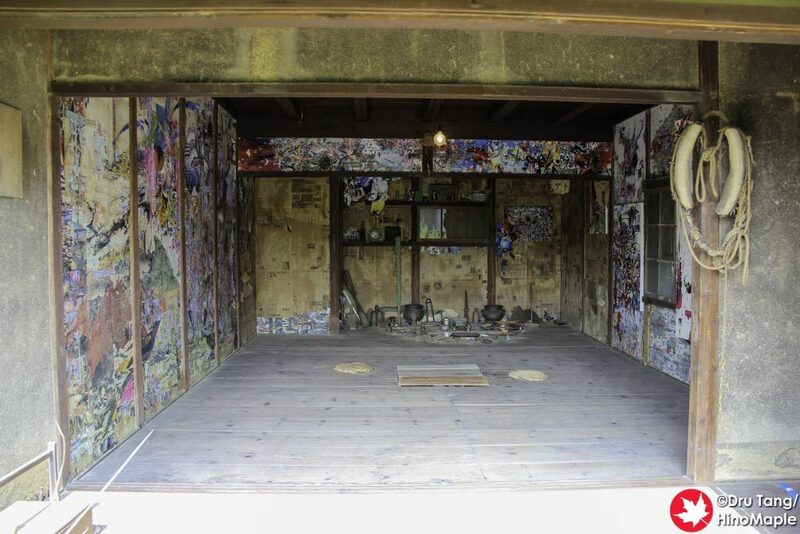 This summer, Aichi University collaborated with their partner universities to create artworks for a house on Megijima. The NANAIRO+ is more of a gallery with a variety of works with some evoking a sense of Japan and a connection to Megijima but several pieces really had no connection at all. The artwork is a little far from the terminal but it was worth a visit for me as I really enjoy seeing students do their best with their imagination. “feel feel BONSAI” doesn’t feel like art as much as a bonsai exhibit. To say bonsai is not art is a bit of a misnomer as it requires a lot of time, patience, and artistry to create the perfect mini tree. 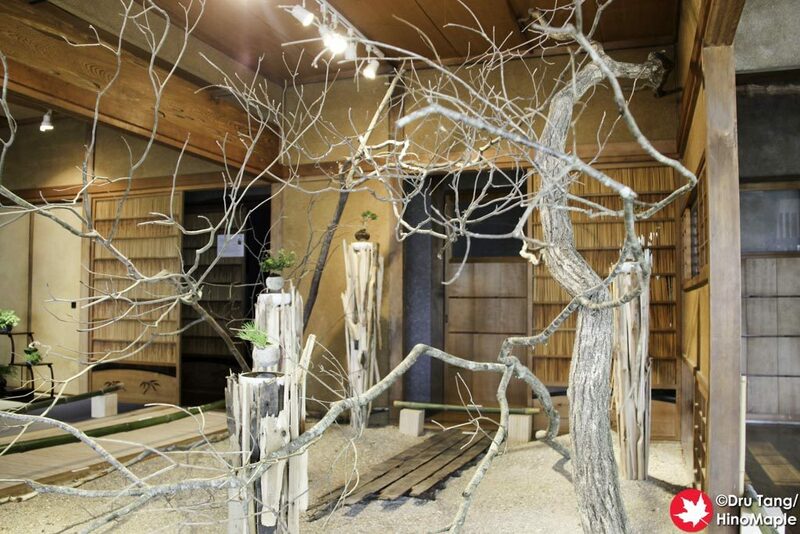 This exhibit was done by Masashi Hirao × SETOUCHI COGEIZ / Kagawa Prefecture Bonsai Products Promotion Council. Mr. Hirao is the main bonsai artist with help from other organizations. The artwork can also feel a little commercial compared to the other artworks. This could be because they are working with Hoshinchu Air Bonsai, a for profit start-up company that is selling one of the major products that is on display. MECON by Shinro Ohtake is a very polarizing artwork, and I do believe David Billa felt underwhelmed in the spring of 2013 by this one. I loved the colours of MECON and thought it was a really psychedelic work. There was a lot that I didn’t like as well but when I ignored the things I didn’t like, I did like the artwork overall, even if it stood out like a sore thumb. There are a lot of things to see in MECON and in 2013 it was only in the courtyard. For 2016, they added the entrance to the school as well as a small room adjacent to the entrance. I imagine that Mr. Ohtake will be adding even more in the future and look forward to seeing it grow. ISLAND THEATRE MEGI by Yoichiro Yoda is an artwork that I had been anticipating and it didn’t let me down. 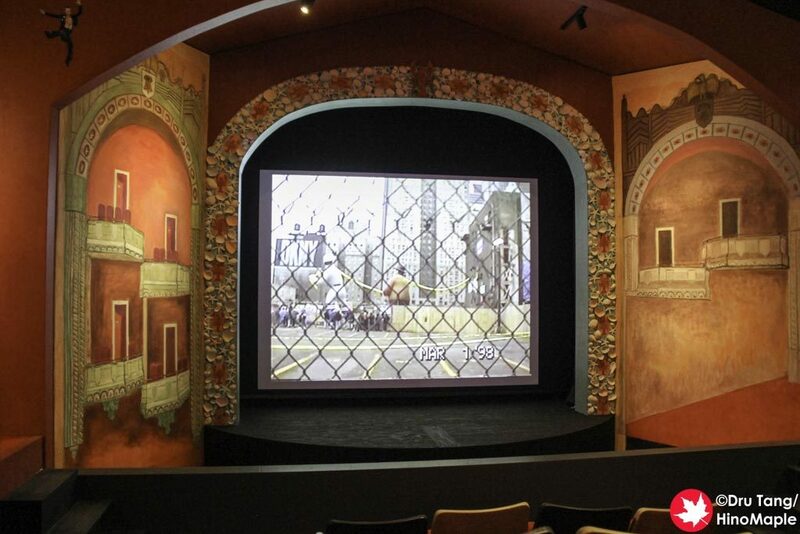 It is basically an old storehouse that has been converted into an old style theatre. The outside has signage that is similar to an old New York theatre, as well as a small box office. It is an experience that you have to do in person as no words can really tell you what it feels like to be there. The theatre is a bit small, but you can watch all 3 movies for free if you have the time. Admission is 300 yen without the Setouchi Triennale passport and well worth it if you ask me. 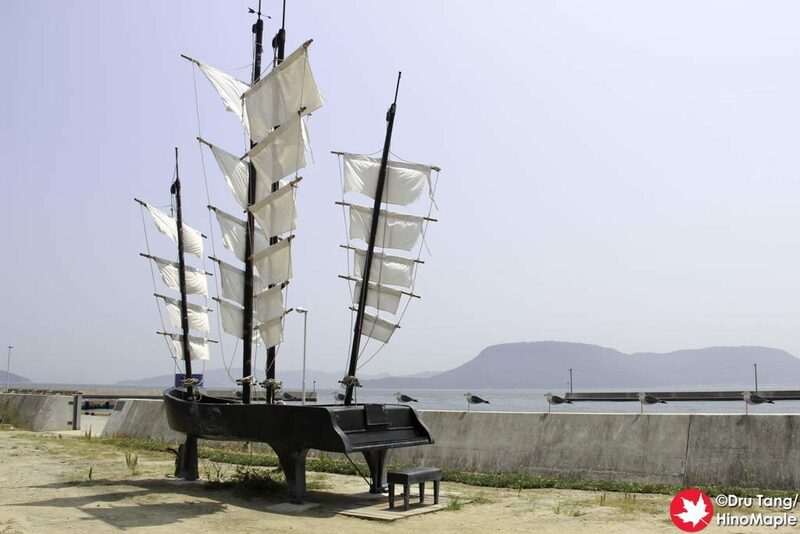 Leandro Erlich re-established his “The Presence of Absence” on Megijima. 3 years ago it was a nice place with the restaurant/cafe IARA. 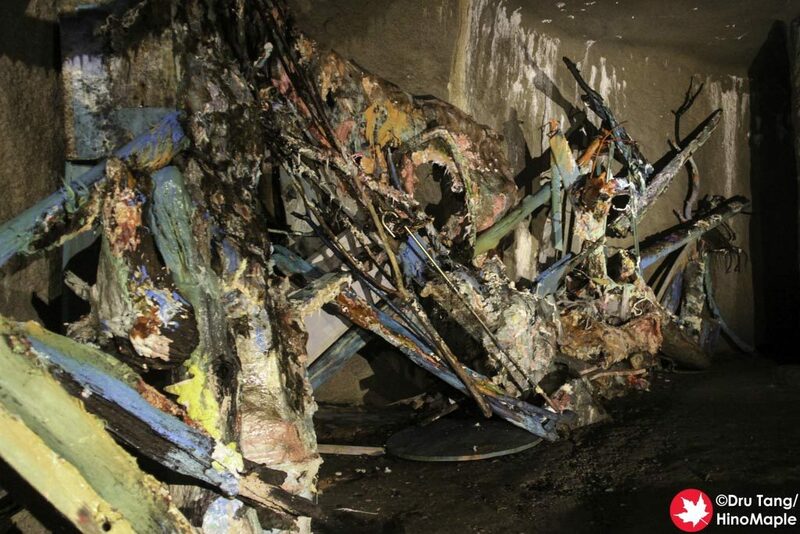 There are 2 artworks to see and I unfortunately missed one of them in 2013. The first one you notice is a stone garden in the middle of the waiting area. The stone garden itself is an artwork and I won’t say anything as it will spoil the work. The “new for me” artwork was a secondary tatami room where you don’t see yourself at first. It is a wonderful room and it is amazing to see and experience. Terrace Winds by Yasuyoshi Sugiura is a very architecturally minded artwork. I skipped it in 2016 as I believe there are no changes since 2013 but I did enjoy it in 2013. 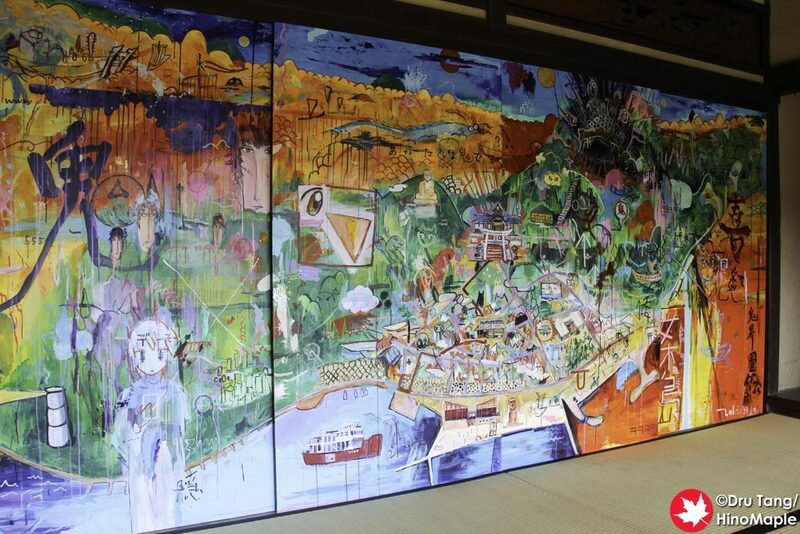 The views from the artwork are wonderful as you can see all of Megijcho as well as Takamatsu. I believe that there must be more vegetation in the summer and autumn months compared to spring as when I visited in 2013 it was a little bare. I don’t regret skipping the artwork but as with anything, I feel like I should have visited to see how the artwork has evolved in nature. The Ogre’s House series was an interesting group of artworks done by CHAOS*LOUNGE, a group of artists in Japan. The first one is in the Ogre Caves at the top of Megijima. The Ogre’s Memorial Hall is much better and my favourite of the 3 houses. It is a little difficult to explain but there are a lot of different artworks within the house and it can take a while to really enjoy the artwork. The first thing you see is a small video about Ogres. It was a bit crazy and because I don’t speak enough Japanese, I ended up not being interested in it. The upstairs section had a bunch of drawings which seemed slightly politically biased, but appropriate somehow. 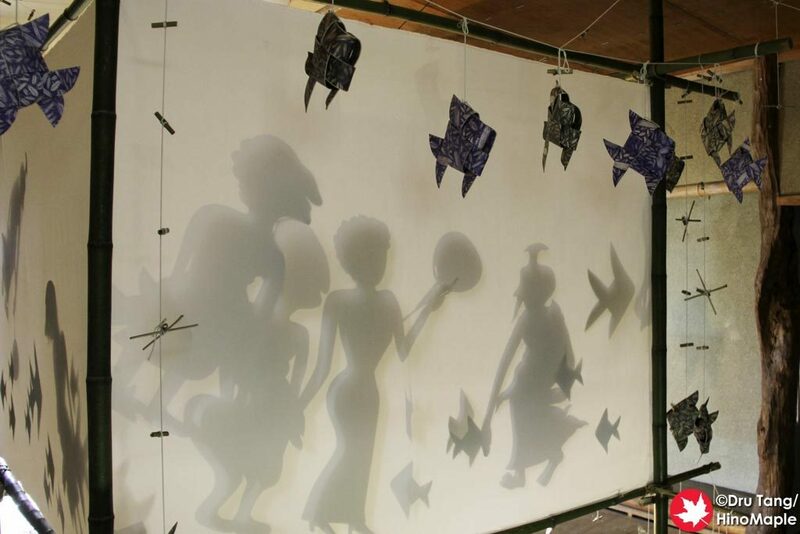 When I returned to the main floor, I was drawn to a paper monument that was will constructed, as well as a beautiful mural on another wall. The mural was of Megijima and it was amazing to see all of the detail in it. I really want to go back and take even more time to just enjoy the piece. The Ogre’s House series was an interesting group of artworks done by CHAOS*LOUNGE, a group of artists in Japan. The first one is in the Ogre Caves at the top of Megijima and the second is in the middle of town. The third house gave me mixed emotions when I visited. The third house has 2 rooms as well as the front yard. The first room is a little boring as it is a simple blue room with a bed as well as a few drawings. The second room was more interesting as they put printed wallpaper on the walls that made the room look as if you were hallucinating on drugs. I really thought the concept was good but I wasn’t sure about the execution. The courtyard itself made it feel like an ogre’s house with a couple boats and an entrance that was akin to entering a cave. 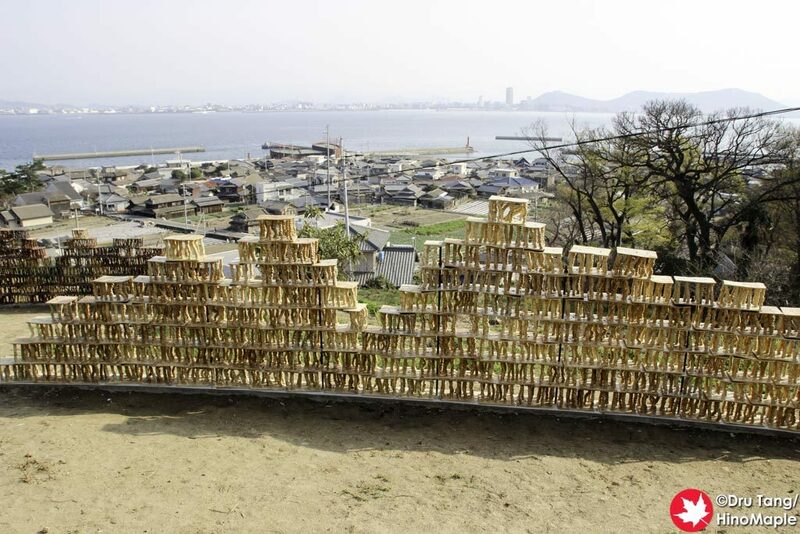 Equipoise is a mysterious artwork that is returning from the very first Setouchi Triennale. 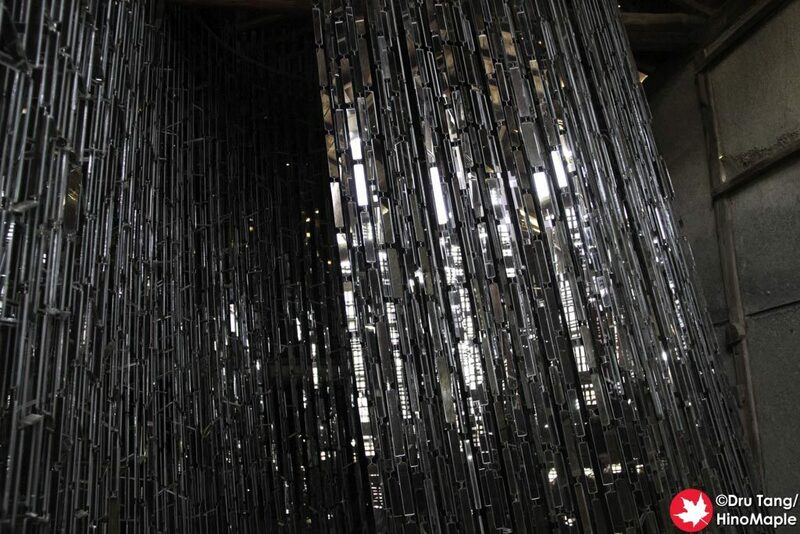 It is 10,000 mirror plates that are suspended from the ceiling, created by Harumi Yukutake. I was really impressed by it 3 years ago and I am still impressed by it. I’m surprised at how beautiful it still looks and I would imagine they had to clean it very well before the 2016 festival. The artwork is very beautiful and peaceful, especially when you have it all to yourself. I really felt at peace but trying to capture the artwork in photos was nearly impossible. The above is my own personal review of the art on Megijima. If you want to be surprised by the art, I recommend that you do not read more than what is written here. Links will follow the single paragraph describing the basics of the artwork when the posts are ready. Please keep an eye on the social media accounts (Facebook, Twitter, Google Plus) for information when they go live. Photos may also give away part of the art, but in this post, they are minimal. Spoiler alerts in individual posts will be given when it is necessary for you to enjoy the art for the first time. 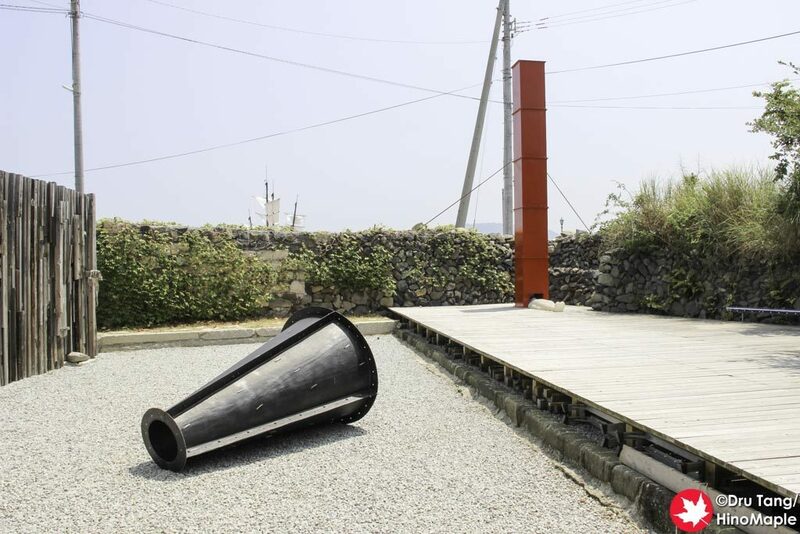 If you will not be going to the Setouchi Triennale, feel free to follow the links and read everything and enjoy it as best as you can. Links to individual art reviews will be coming in the following months as soon as possible. This entry was posted in Setouchi Triennale, Shikoku and tagged 2016 Setouchi Art Festival, 2016 Setouchi Triennale, art, japan, Kagawa, Megijima, Setouchi, Setouchi Art Festival, Setouchi Triennale, Takamatsu, Triennale by Dru. Bookmark the permalink.